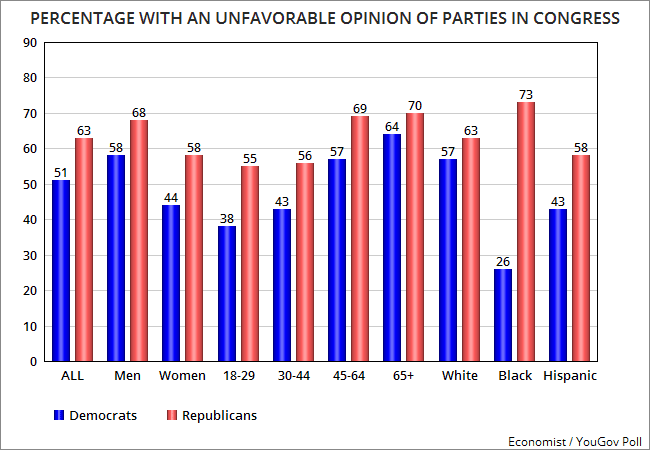 These charts were made from information contained in a new Economist / YouGov Poll -- done between October 29th and 31st of a random national sample of 1,500 adults (including 1,291 registered voters), with a margin of error of 3 points. 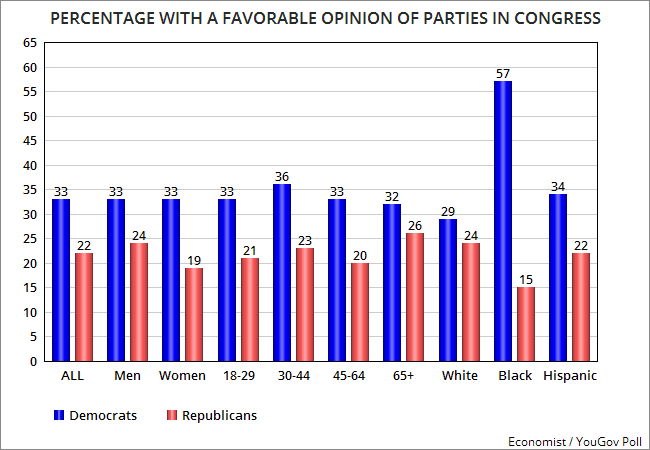 The public is not thrilled with either of the political parties in Congress, but they have a slightly more favorable opinion of Democrats (by 11 points) and a slightly more unfavorable opinion of Republicans (by 12 points). 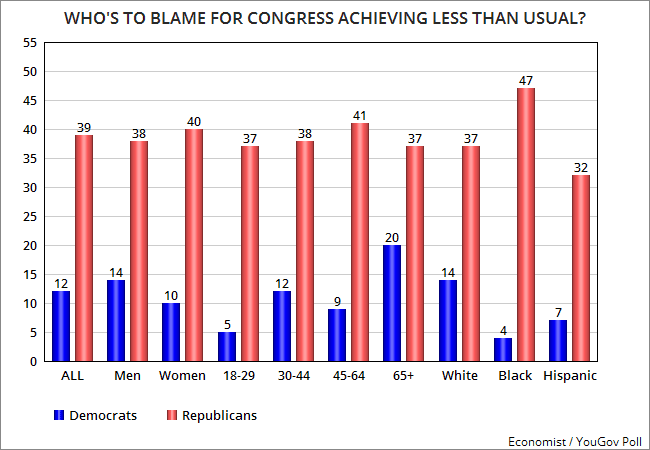 They also blame the Republicans more for the current dysfunction of Congress.